Photo copyrighted to respective owners at Happily Divorced/TV Land. 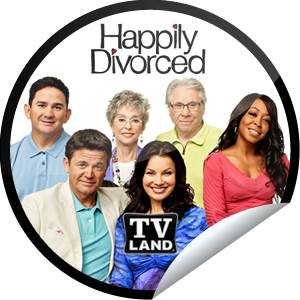 TV Land picked up Happily Divorced for a second season! The show is scheduled to return in the spring of 2012. Wednesday night at 10:30|9:30c on TVLand! Read the article in the L.A. Times by clicking HERE. I recently had the privilege of meeting Emilio Rivera, who plays the role of Marcus Alvarez, the leader of the Mayans in the Sons of Anarchy. He has been in many television shows and films, including Collateral, one of my all time favorites directed by Michael Mann. I have been able to talk with him on many occasions about film production and the upcoming season!